There's more than just fair dinkum tucker and shrimps on the barbie Down Under. Check out some top Australia spa resorts and boutique lodges where the pampering is well nigh perfect. AUSTRALIA is fertile ground for the wellness bandwagon. Imagine the hum of a live didgeridoo around a spring-fed billabong, ancient stones pressed to aching muscles, and treatments made from locally grown ingredients. Australia provides a myriad of natural spa wonders. Pick from pure pampering to personal empowerment. Here’s a guide to the best Australian spa resorts around. Landed in Melbourne? Multiculturalism is the soul of this city so it makes sense that Chuan Spa at The Langham embraces traditional Chinese medicine as its spa mantra. The décor is Oriental with rich red, black and gold interiors with an Eastern-inspired treatment menu. The theme here is all about restoring balance. As well as features such as the colour therapy sauna, the spa offers tai chi, yoga and Pilates classes. Prices range from A$100 for a 30-minute body scrub to A$750 for the deluxe “Serenity Shen” couple’s treatment. If you’re in need of a Melbourne spa hotel, mark this in your diary. Another lifestyle option with excellent facilities is The Lyall Spa, part of a chic boutique hotel situated in South Yarra, one of Melbourne’s more upmarket and cosmopolitan areas. Popular with celebs, high profile fashion and television personalities, the spa has eight treatment rooms with dedicated areas for hydrotherapy, pedicure and manicures, relaxation and professional makeup. There are therapeutic and prescriptive treatments, all using Skeyndor skincare and Sodashi organic products. Expect to pay A$120 at this top-notch spa hotel for a 60-minute massage and A$100 for a pedicure. Slip into a comfy robe and sip organic tea as you wait for an attendant at Aurora Spa Retreat at the Prince Hotel in St Kilda. This retreat was one of the first to ignite interest in day spa culture in Australia. Local ingredients are very much part of the wellness lexicon. Treatments offered at Aurora utilise its own in-house range of products, Aurora Spa Rituals, and the designer space is an ideal retreat for steam room scrubs on winter days. Aside from tailor made retreats and bridal parties, the place offers detoxifying steam and massages. For pure relaxation this is one of the choice Australian spa resorts. Prices start from A$100 for massage and facial treatments, but if you’re feeling fancy go for the caviar ultra hydrating facial for A$275. Around a 75-minute drive from Melbourne are two of Australia’s well-known spa destinations, Hepburn Springs and Daylesford, virtually joined at the hip. The region contains 80 percent of Australia’s mineral springs and has increasingly become a popular wedding destination. The water here contains high amounts of minerals, from calcium and iron to sulphur and magnesium, which flow through 450-million-year-old volcanic rocks. It’s little wonder then that the area is filled with accommodation ranging from luxury spa retreats to quaint B&Bs and guesthouses. No Australia spa resorts guide would be complete without a mention of this region. Eat, drink and spa out. Long languid lunches and hot mineral water dips are the core of the Salus Day Spa at the luxury Lake House in Daylesford. Book a room and you may find yourself soaking in a tub filled with mineral water in a private treetop house. There are milk bath rituals, an array of massages and facials using Elemis treatment products, all purporting to lift, plump, rejuvenate. Purists keen for organic fare can dip into cuisine prepared from regional all-organic produce. Half and full-day cooking classes are offered for guests to recreate the wellness menu at home. For an extended bout of relaxation, the Lake House’s wellbeing retreats are tailored for each guest and may include bushwalks, Pilates, meditation, detoxifying and stress reduction therapies. Spa treatments start at A$140 per person. Another property at the top of the list of Victoria spa hotels is the art deco Peppers Mineral Springs Retreat at Hepburn Springs, home to the Mineral Spa. As well as the usual anti-ageing and beautifying treats, the wellness menu draws upon traditional Aboriginal spa healing techniques using three Australian product ranges for its treatments. There’s a signature “Ultimate Mineral Spa Indulgence”, which includes a 60-minute massage, 60-minute facial and a mineral cocoon, and is as indulgent as its name suggests. The spa has elegant change rooms, lockers, robes and slippers, guest relaxation lounge, 11 treatment rooms, unique soft beds and hydrotherapy spa baths. A water therapy zone provides hot and cool mineral water pools, a lavender-oil hot rock sauna, infrared detoxification box and a dry steam room. The choices for massage are many, from Oriental to remedial, and there are twilight bathing sessions on Friday and Saturday nights. Combination accommodation packages are available at Peppers Springs Retreat or the luxuriously self-contained Tuscan styled Villa Parma. Day visitors are also welcome. The Balinese Retreat, an Eastern inspired hideaway popular with honeymooners, is located just a 45-minute drive from Melbourne in the foothills of the Dandenong mountains. The architecture has a distinct Balinese flavour (tropical gardens and traditional lanterns) with opium beds but treatments are inspired from various parts of Asia – Japanese bathing rituals, Moroccan hand therapies, and more. An open-air pavilion overlooking a lagoon offers fine dining with Thai and Japanese influences, or you may choose to talk with your own personal chef. There are spa and accommodation packages, but single spa treatments start at A$125. The beauty of Australian spas is that they incorporate a host of different cultures and influences evidenced in such spots as The Japanese Mountain Retreat also in the foothills of the Dandenongs on five acres of forest. The luxury guesthouse consists of traditional Japanese accommodation featuring tatami matting and shoji screens surrounded by Oriental gardens. Spa treatments are also influenced by Japanese style, substance, culture and tradition. Try shiatsu, a massage for stress release and deep relaxation or, for longer experiences, the Japanese bathing ritual from the Kamakura era, a five-step treatment designed to release the energy flow in the body. Guests may be treated to a traditional six-course Japanese banquet, but there is also Thai and Western fare available. But the true star here is the ryokan style setting - step from the onsen, slip into a yukata and bask in the glow of Japanese style in Oz. Spa treatments start at A$125. 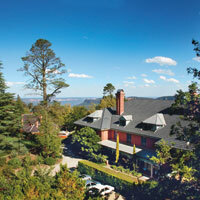 Breathtaker All Suite Hotel and Spa Retreat is a much-talked-about Australian boutique hotel situated on Mount Buller. The spa has hot bubbling pools, steam rooms, a 20-metre indoor heated pool, a wet treatment room with Vichy shower, and two geisha tub rooms. The spa uses Li’Tya products and has a host of alluring rituals. After an active day on the slopes of Mount Buller, sore muscles will welcome one of the heat treatments on offer, from the warmth of the therapist’s healing hands to the aromatic-oil-soaked rocks. Breathtaker offers a range of accommodation including studio, one, two and three-bedroom apartments. Facial prices start at A$115 and massages start at A$135. Note though, that the spa facilities are only available during southern hemisphere winter months (aligning with the Mount Buller ski season). South of Melbourne across the strait sits the state of Tasmania – well worth exploring if you appreciate nature and don’t mind a chill in the air. Peppers Cradle Mountain Lodge, a rugged property comprising 86 timber cabins set high in the Tasmanian wilderness, is a four-and-a-half hour drive from Hobart or a two-and-a-half hour drive from Launceston. The lodge offers spa suites or cabins with king-size beds, log fires, spa baths and private verandahs and a splendid back-to-nature location. The lodge’s Waldheim Alpine Spa is open to all guests. Soak away your woes in hot and cold plunge pools that overlook fresh mountain streams, or revel in therapies like “Highland Healing” after a day exploring the Tasmanian mountains. Sydney sparkles year round even during winter, its ubiquitous waters teeming with yachts. The city’s top hotels all have spa escapes and offer a plethora of relaxation, rejuvenation and beauty treatments. But if you really want to escape the rat race, head to Lilianfels Blue Mountains Resort & Spa overlooking the world heritage listed Blue Mountains National Park. The spa, set around an elegant indoor heated pool, consists of four treatment rooms and a relaxation area, complete with a water feature adding to the serene vibe. Treatments are eco-sensitive and Sothys-Paris products are used. Spa rituals, ranging from one-hour treatments to full-day experiences, cater to women, men and couples, and can be tailor-made according to individual needs. Custom-designed spa retreats are available whereby accommodation is combined with spa treatments plus yoga, Pilates, tai chi and wilderness walks. The country manor resort has 85 rooms surrounded by acres of rambling English gardens with expansive views across the beckoning mountains. It is popular for conference and corporate events as well as weddings. The ambience is restful, the cuisine gourmet and healthy. In winter, lounge beside the open fire. One-hour facial treatments start at A$175, massages at A$145. Emirates Wolgan Valley Resort and Spa, set in the greater Blue Mountains area about 190km from Sydney, is a conservation-based resort nestled between two national parks. There are 40 elegant free-standing suites, each with private terraces overlooking the valley, swimming pools and double-sided fireplaces for winter months. As well as stylish accommodation and cuisine based on regional, seasonal, organic produce, Wolgan Valley’s Timeless Spa caters fully to the well-heeled wellness crowd. There are six treatment rooms with separate showers and Japanese-style soaking tubs, and the spa exclusively uses the Australian skin care range by Sodashi (100 percent chemical-free). Spa treatments range from salt baths to age-defying facials to four-hand massages, varying in time from 30 minutes to a lengthy four hours. The resort’s spa facilities are accessible to guests only. In the early ’70s, hippies piled up their vans and headed to the sun-drenched beaches of Byron Bay. Even today, everyone here seems to be either a yoga teacher or a naturopath. Today there’s nary a dreadlock in sight. And even though Byron Bay may have sold its soul to developers, a healing vibe still remains – especially in the area’s spas. 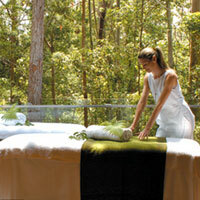 Lose yourself at Gaia Retreat & Spa, one of the most relaxing and eco-friendly spots in the region, if not Australia. There’s something unique about the energy here. Co-founded by Olivia Newton-John and Gregg Cave, this Australian boutique spa resort is located on 25 acres of undiluted Mother Nature. Gaia Day Spa offers all-Australian treatments made from home grown ingredients. There are ‘Wattle Seed & Lemon Myrtle’ body polishes and Australian bush flower essence healing sessions. Famed for wellness retreats, there’s also Pilates, nature walks, naturopathic consultations and sleep-enhancing meditations. Food is gourmet, mostly organic, with vitality juices and a good wine menu. Eco-minded guests are invited to participate in a tree-planting ceremony. The average cost for a spa treatment is A$195. There are 20 retreat style villas/bungalows set in leafy subtropical gardens if you wish to make a week of it. Byron Bay’s most deluxe spa is at Raes, located inches away from the infamous Wategoes beach. Known for its celebrity-factor (Kate Hudson, Donald Sutherland and Elle McPherson are past guests – in fact, the hotel’s website has a full celeb list if you’re interested), the seven-room Australian boutique hotel has the sweetest little spa. The cocoon-like space is a sparkling world of mother-of-pearl walls and dim-lit rooms. Byron’s cult-status local healers apparently deliver incredible experiences – some visitors might be drawn in by the names of the treatments themselves (Ocean Song, Stones of Morocco, Silver Rain, Pure Alchemy and more creative notables). Accommodation is Morocco-meets-LA-bungalow-style with mosaic tile floors, marble and rattan furnishings and one of the world’s best surf beaches only a few footprints in the sand away. Spa treatments start at A$120 for the 45 minute Valencian Dream body polish. The Byron at Byron, more a resort than a hotel, is something new for the area – the size makes it popular for conferences and weddings. 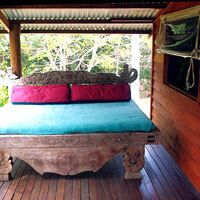 Located on 45 acres of rainforest not far from Tallow beach, the vibe here is all barefoot eco-luxury. Accommodation comes in the form of 92 free-standing suites each equipped with kitchen, separate lounge and dining area. Cuisine is an important part of the Byron experience. Much of the fresh produce is sourced from the local Farmers Market and guests can sign up to accompany the chef on a market tour. The Byron also has an infinity pool, tennis courts, sauna, gymnasium and complimentary yoga classes. The spa is a small well-appointed facility with a menu of European facials, scrubs and wraps, as well as some more unique ‘wellness experiences’ including esoteric healing and intuitive massage therapy. Spa treatments start at A$145 for a one hour relaxation massage. An hour north of Byron Bay over the state border is the Gold Coast International Airport, which just happens to be near a handful of Australia’s best-known health retreats. 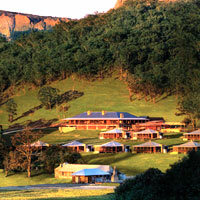 Gwinganna Lifestyle Retreat is one of Australia’s premier health destinations, specialising in stress management. Set on 500 acres of gum trees and native bush, the eco-retreat offers first-rate fitness, wellness and spa facilities with accommodation made from reclaimed timbers. Their spa sanctuary, reserved only for guests on retreat, comprises 33 treatment rooms, so there’s no wait for a massage. Themed retreats are held throughout the year and include detoxification packages, which incorporate the resort’s 100 percent certified organic cuisine. A team of wellness experts are on hand for guests in the areas on nutrition, naturopathy, Chinese medicine, aging analysis and counselling. Morning activities at the resort are on the hour; bushwalking, yoga, Pilates and kinesis training. Afternoons are set aside for “Dreamtime” where a variety of organic holistic, and emotion-balancing menus are on tap. Don’t miss the daily nature walks with Gwinganna’s resident environmentalist and social ecologist – you may find yourself picking fresh raspberries from the forest. With much of the cuisine grown locally, all of its water recycled, chickens wandering the property, worm farms and composting initiatives, and four active beehives, Gwinganna is the spot for eco-holiday spa-goers. Treatments at this fine escape, a firm pick on our Australian spa resorts review, start from A$110 but do keep in mind that the minimum stay here is two nights and the spa is used exclusively for guests. Not far from Gwinganna is The Golden Door - Elysia, another time-tested health retreat for those who want to abstain from some of life’s guilty pleasures (read coffee, alcohol, sugar). Five- to seven-day programmes are popular consisting of hiking, Pilates, tai chi, yoga, self-defence classes and daily seminars on stress management and nutrition. And as pleasure sometimes needs to be part of the cure, there’s an array of treatments. One of the standouts here is Watsu – a water-based therapy combined with shiatsu massage that may relax and relieve chronic pain. But there is something for everyone from collagen plumping facials, body scrubs, massage, energy healing, and chakra awakening. Accommodation is in rustic chalets, and facilities include tennis courts and heated pools. Spa Treatments start at A$110, and day visitors are welcome. An hour or so from here is the ritzy Palazzo Versace Hotel. Located right on the Gold Coast Broadwater, if your taste veers towards Italian Renaissance style with marble and gold leaf, then don’t hesitate to check into one of the 200 rooms or condominiums. On the lower ground floor is the Aurora Spa Retreat (aligned with the aforementioned Aurora Spa Retreat at the Prince Hotel, Melbourne). The menu is the same as the Melbourne location, but here you will find an indoor Italian-style bathing pool, two spa baths, steam and sauna rooms. There is Aurora signature steam treatments on offer as well as advanced facial, body and massage treatments, and spa packages lasting two hours or more. The spa is open to guests not staying at the Palazzo. Treatments start at A$100 (for a 30-minute massage). About an hour north is the city of Brisbane. For five-star accommodation with a highly recommended spa facility, Stephanie’s Spa Retreat on the third level of Sofitel Brisbane Central is the ticket. The spa is part of a multi million dollar revamp, the highlight of which is the Opal Rasul Temple, a fully mosaic domed cave for steam, mud and water treatments. One of the most decadent treatments lasts for five hours so grab some friends and make a day of it. Hour-long treatments range in price from A$150 to A$180. Noosa is often described as an upmarket Byron Bay. Head here for an ozzie experience with a backdrop of sun-drenched beaches and lush rainforest. Water babies and golfers alike will love the Noosa Springs Resort, located a few minutes’ drive from the heart of Noosa. There’s a golf course and a water-inspired spa where treatments are based on a ‘health through water’ philosophy. Thus there are all kinds of pools, baths, showers and spa. The HydroMassage pool offers a soothing jet massage in water at near-body temperature while the Blitz Shower uses powerful water jets to revitalise the circulatory system – perfect for tense muscles. The spa has several European spa influences including a flotation pool rich in mineral saline waters and a detoxifying infrared sauna (the only one of its kind in Australia). There are facial treatments that utilise ingredients like chocolate, berries, champagne and quince or body treatments involving lime, espresso or ginger sugar scrubs. There’s also a luxurious relaxation lounge where you can hang out in your waffle-weave robe and, of course, relax. Stay all day and leave feeling sensational. Facial and massage treatments start from A$125. Also in Noosa is the Aqua Day Spa at The Sheraton Noosa Resort and Spa, where you’ll find more than 50 beauty or body treatment options using classic French brands La Prairie and Thalgo. Holistic temptations include reflexology, Swedish and deep tissue massages and there are also packages that can be tailored to men and pregnant women. Body Treatments start at A$85 while a caviar face firming treatment is A$220. Arguably Australia’s prime spa destination spans from Cairns to Palm Cove and Port Douglas and into the Daintree Rainforest. Expect monsoon rain showers, year-round warm waters and endless humid days. It won’t take long for life on tropic time to seep into your system. Start your spa pilgrimage in Palm Cove, located on a two-kilometre stretch of sandy beach, where the rainforest meets the Great Barrier Reef. At the heart of the town is The Reef House in Palm Cove, a boutique resort designed in North Queensland colonial plantation style. The walls are whitewashed, there are white wicker furnishings and beds are draped in white netting. Facials and treatments integrate the precious qualities of Australian earth and spirit by drawing upon ancient Aboriginal techniques and indigenous mud, kelp, sand and salt. Treatments here start at $95 (for a 30-minute facial). About a 30-minute drive from Port Douglas is Julatten Mountain Retreat – arguably one of Australia’s best-kept secrets when it comes to natural healing. This rural retreat is set on 35 acres of green orchards, with a creek leading down to the forest where rock pools beckon. With its roots in nature, the spa uses fresh homemade ingredients for its treatments including honey, clay and cucumber. The specialty massage here is Hawaiian or ‘kahuna’ massage – the retreat regularly hosts courses to learn the technique. Yoga and cooking classes are available, and much of the produce used is locally sourced and seasonal. Hot tubs overlook the mountains, and with purity of the landscape, birdsong and the sensation of spring water against your skin, being so close to nature could well be the ultimate relaxation experience of all. Treatments at this natural Australian spa resort start at A$135. Venture farther into the rainforest and feel what it must have been like to once live on unspoiled earth. The Daintree Eco Lodge & Spa, with 15 rustic villas set on 30 acres of rainforest and misty mountain ranges, provides a connection between indigenous Aboriginal philosophy, spa treatment and wellbeing. Try the “Walbul Walbul” where sensations of warm oil, desert salts, massages, scrubs, warm mud applications and a head massage all roll into one. The “Wawu Jirakul” is an Aboriginal-inspired ritual performed at a waterfall in the forest to cleanse the spirit. It begins with a 10-minute meditative walk through lush greenery to a platform at the base of the waterfall. Super fine earth pigment collected from ponds, and water fresh from the waterfall, is used for an ‘at one with nature’ experience. Bushwalks led by Aboriginal guides provide information about Australia’s plant and herbal life. Products from the certified organic ‘Daintree Essential’ range are available for purchase. Treatments start at A$130. 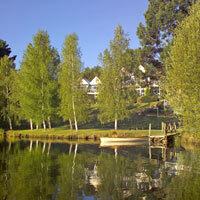 The elegant Silky Oaks Lodge & Healing Water Spa also celebrates the landscape. Stay in a River House or Tree House and surround yourself with nature. The signature treatments are inspired by the natural environment and use the healing properties of pure plant botanicals to nurture the body and the spirit. The product range Sodashi is used for all treatments ranging from radiance or thermal infusing facials to hot stone or Thai massages to full relaxation rituals (a two-hour facial and massage ‘journey’. Facial or massage only prices start from A$140. One&Only Hayman Island offers quality accommodation right on the doorstep of the famed Great Barrier Reef, which is quite the setting for diving, snorkelling, sailing, fishing and most other water-based activities imaginable. Of course, the spa here also has front-row seats to the stunning sea views. There are 13 treatment rooms and beachfront massage pavilions. The “Ocean Massage” deserves a mention as, yes, it is administered on a table in the ocean. Facials, massages, hand and foot treatments are all on offer, but full-day experiences are also available involving a bundle of wellness bit and pieces. More indigenous treats can be sampled at the qualia resort (pronounced kwa-lee-ah) on the northern tip of Hamilton Island in the Great Barrier Reef. The resort comprises 60 sea-facing pavilions built from local timbers and stone. Treatment-wise, facial and massage choices abound, but there are also longer ‘rituals’ including the “Bularri Yarrul”, a take on hot rock therapy. Aboriginal-inspired, therapists smooth ancient stones along the spine with oils. As well as several holistic offerings there’s a strong focus on anti-ageing and detoxifying treatments here, as well as naturopathy and personal training. Spa brands are 100 percent organic (Sodashi and LiTya) complimented by homegrown aromatherapy oils. Spa facilities include heat and water experiences like the Roman bath, Swiss shower, steam room, as well as a yoga and meditation pavilion for personal practice and group classes. Prices start A$120 for a face peel or $190 for a facial. Lizard Island sits on the Great Barrier Reef and is a national park covering 1,013 hectares with a pile of sandy beaches and a lagoon. Lizard Island Resort offers a variety of accommodation (rooms, suites or larger villas) and is accessible by private plane only from Cairns. So day-trippers are out. Azure Spa at Lizard Island Resort uses the Australian Li’Tya products and combines ancient indigenous medicines and massage techniques with colour, sound and aromatherapy for its treatments. Facials treatments start at A$110 and massages at A$150. On the other side of the country, in Western Australia, lies the boutique Empire Retreat sitting pretty in the middle of the Margaret River wine region. There are ten architecturally designed luxury suites, all natural stone and timber, which complement the 35-year old stone farmhouse that serves as the main entertainment area. The retreat’s purpose built spa extends the Empire philosophy of relaxation and rejuvenation. A bushland setting surrounds and enhances the bathing suites with large stone baths, steam room and rainforest shower suites. Treatments incorporate traditional therapies with specialised rituals appealing to those who wish for something a little less ordinary. Treatments start from A$140. Also in the west, this time in stunning coastal Broome, is the much larger, much less intimate Cable Beach Club Resort & Spa. There is a range of accommodation from rooms to villas, and much to explore around the area, but if pampering is your main desire Chahoya Spa by L’Occitane aims to please. There are seven private suites including a double Vichy shower room. Treatments are inspired by different global healing philosophies all about restoring balance to body and mind. A 30-minute facial is A$80 and sixty-minute massages start from A$130. And that’s a wrap on our Australian spa resorts review. Any rates and prices listed are for broad indication only. 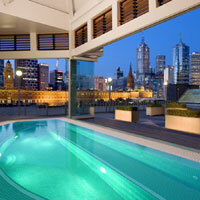 Check with these spa hotels at booking time for the best available rates available before heading to Australia. Aqua Day Spa at Sheraton Noosa Resort. Tel: [61-7] 5449-4888, (e-mail: aquadayspa@sheraton.com or www.aquadayspanoosa.com). 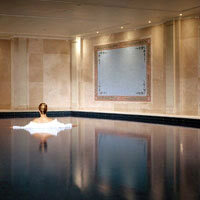 Aurora Spa Retreat at Palazzo Versace. Tel: [61-7] 5532-6464, fax: 9525-3729, (e-mail: info@aurorasparetreat.com or www.aurorasparetreat.com). Aurora Spa Retreat at The Prince. Tel: [61-3] 9536-1130, (e-mail: info@aurorasparetreat.com or www.aurorasparetreat.com). 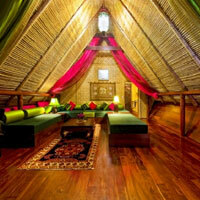 Balinese Retreat. Tel: [61-3] 9737-0413, (e-mail: info@balineseretreat.com.au or www.balineseretreat.com.au). Breathtaker All Suite Hotel & Alpine Spa Retreat. Tel: [61-3] 5777-6377, (e-mail: spa@breathtaker.com.au or www.breathtaker.com.au). Cable Beach Club Resort & Spa. Tel: [61-8] 9192-0400, fax: 9192-2249, (e-mail: info@cablebeachclub.com or www.cablebeachclub.com). Chuan Spa, The Langham, Melbourne. Tel: [61-3] 8696-8111, (e-mail: tlmel@chuanspa.com.au or www.chuanspa.com.au). Daintree Eco Lodge & Spa. Tel: [61-7] 4098-6100, fax: 4098-6200, (e-mail: info@daintree-ecolodge.com.au or www.daintree-ecolodge.com.au). Empire Retreat. Tel: [61-8] 9755-2233, (e-mail: spa@worldofempire.com or www.empireretreat.com). Gaia Retreat & Spa. Tel: [61-2] 6687-1216, (e-mail: info@gaiaretreat.com.au or www.gaiaretreat.com.au). Gwinganna Lifestyle Retreat. Tel: [61-7] 5589-5000, (e-mail: info@gwinganna.com or www.gwinganna.com). Healing Waters Spa, Silky Oaks Lodge. Tel: [61-7] 4098-1666, fax: 4098-1983, (e-mail: reception@silkyoaks.com.au or www.silkyoakslodge.com.au). Japanese Mountain Retreat. Tel: [61-3] 9737-0086, (e-mail: info@japanesemountainretreat.com.au or www.japanesemountainretreat.com.au). Julatten Mountain Retreat. Tel: [61-7] 4094-1282, (e-mail: info@julattenretreat.com.au or www.julattenretreat.com). Lilianfels Blue Mountains Resort & Spa. Tel: [61-2] 4780-1200, (e-mail: reservations@lilianfels.com.au or www.lilianfels.com.au). Lizard Island Resort. Tel: [61-3] 9426-7550, (e-mail: travel@dncinc.com or www.lizardisland.com.au). Noosa Springs Resort. Tel: [61-7] 5440-3333, fax: 5440-3354, (e-mail: spa@noosasprings.com.au or www.noosasprings.com.au). One&Only Hayman Island. Tel: [61-7] 4940-1838, (e-mail: reservations@hayman.com.au or www.hayman.com.au). Peppers Mineral Springs Retreat. Tel: [61-7] 5665-4426, (e-mail: springsretreat@peppers.com.au or www.peppers.com.au/springs). qualia. Tel: [61-2] 9433-3349, (e-mail: reservations@qualia.com.au or www.qualia.com.au). Raes Spa. Tel: [61-2] 6685-5366, fax: 6685-5695, (e-mail: raes@wategos.com.au or www.raesonwategos.com.au). Reef House Spa. Tel: [61-7] 4080-2600, (e-mail: relax@reefhouse.com.au or www.reefhouse.com.au). Salus Day Spa, The Lakehouse. Tel: [61-3] 5348-3329, (e-mail: info@lakehouse.com.au or www.lakehouse.com.au). The Byron at Byron. Tel: [61-2] 6639-2000, fax: 6639-2199, (e-mail: info@thebyronatbyron.com.au or www.thebyronatbyron.com.au). The Golden Door – Elysia. Tel: [61-2] 4993-8500 (e-mail: programcoord@elysia.com.au or www.goldendoor.com.au). Timeless Spa, Emirates Wolgan Valley Resort & Spa. Tel: [61-2] 6350-1800, fax: 6350-1801, (e-mail: info@wolganvalley.com or www.wolganvalley.com). The Lyall Hotel and Spa. Tel: [61-3] 9868-8222, fax: 9820-1724, (e-mail: hotel@thelyall.com or www.thelyall.com). Waldheim Alpine Spa, Peppers Cradle Mountain Lodge. 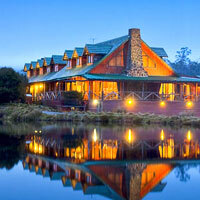 Tel: [61-3] 6492-2103, fax: 6492-1309, (e-mail: cradlemountain@peppers.com.au or www.cradlemountainlodge.com.au).